By LUDWIG VON KOOPA - The first Madden Curse movie inquiry of 2014! I vowed to get an answer to this question in 2014: "What has happened to EA's 'Madden Curse' movie?" EA has repeatedly refused to provide an answer to this. However, a new EA SPORTS PR rep has emerged, because Ritu Sidhu was not good enough. Her name is Angela Souvannara. Here's her Twitter. Unlike Elizabeth Brett, she seems to still be alive... despite attempts to change that. Back in December 2010, EA Entertainment announced plans for a Madden Curse movie. Since then, we have heard nothing about it. Starting at about June 2013, KoopaTV — a famous videogame commentary website that I work for — has been trying to ascertain what has happened to the Madden Curse movie. EA has up-to-now refused to answer. All we want is an update on the movie. Is it officially canceled? No one knows, but hopefully you do. If you don't, then please get me in direct contact with Pat O'Brien himself, because this is very important. Congratulations on the position, by the way. As typical of Electronic Arts, there is no reply as of publishing. So once again, the investigation grinds to a halt. Maybe they're just that busy with their newly announced Madden NFL 15. That's right. 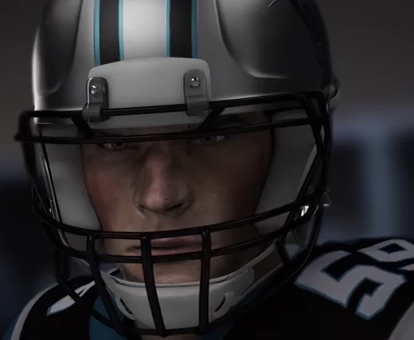 We went from Madden NFL 13 to Madden NFL 25 down to Madden NFL 15. Of course, they are skipping Nintendo consoles again. See the transformation this June part? They must mean E3 2014. "If you don't know me by now... you will." - Me to EA. Also that guy to us. Stay tuned to KoopaTV for more investigative reporting. If you have any ideas for an investigation, we have a new and shiny Requests page for that. E3 2014 has passed us, and no transformation or word of "Madden Curse" has taken place. Right at the end of 2014, we have the answer from Pat O'Brien himself.